Please see this list of all accepted LBW papers, their poster rotation and location at the conference. Please see this page for information about presenting your poster at the conference. Submission Format: an extended abstract (6-page limit including references) prepared in the Extended Abstracts Format. We encourage researchers and practitioners to submit a Late-Breaking Work extended abstract as it provides a unique opportunity for sharing valuable ideas, eliciting useful feedback on early-stage work, and fostering discussions and collaborations among colleagues. Accepted submissions will be presented as a physical poster at the conference, and the extended abstract will be made available to the CHI community through inclusion in the Extended Abstracts proceedings. As last year, submissions will comprise an extended abstract only. A Late-Breaking Work submission is a concise report of recent findings or other types of innovative or thought-provoking work relevant to the CHI community. Late-Breaking Work submissions represent work that has not reached a level of completion or maturity that would warrant the full refereed selection process. Submissions should report on cutting edge or emerging work that has not been fully realized or developed, for which empirical data may not yet be available, or that has not yet reached a level of maturity expected for other CHI submission venues (e.g. main track papers). Appropriate submissions should have potential to, with time, make a contribution to the body of HCI knowledge. A significant benefit of a Late-Breaking Work derives from the discussion between authors and conference attendees that will be fostered by the face-to-face presentation of the work. Examples of work sought by this submission category include: emergent technologies, designs, empirical findings or theoretical contributions, preliminary studies, and ongoing work. The Late-Breaking Work category aims to attract participation from a broad range of disciplines covering a spectrum of topics and methodologies. We encourage submissions from all of CHI’s communities and those new to the CHI community. This venue is also an excellent way for those new to the CHI community to share their work and become acquainted with the field. Please note that summaries of published work or reduced versions of main track CHI submissions are inappropriate as a Late-Breaking Work submission and will be rejected. Late-Breaking Work abstracts appear in the CHI Extended Abstracts proceedings. Copyright is retained by the authors, and the material from them can be used as the basis for future publications as long as there are “significant” revisions from the original. For more information on the republishability of material appearing at CHI, along with links to relevant ACM policies, please see the section on Republishability on the main CHI CFP. An extended abstract must be prepared in the Extended Abstract Format and submitted as a PDF file. While the limit is 6 pages, some submissions may be shorter. The submission length should be in line with the scope of the work described, but no longer than 6 pages. Any other content (including acknowledgments, figures, and appendices) beyond 6-page limit and/or not adhering to the Extended Abstracts Format is not acceptable and will lead to an automatic paper rejection. Your extended abstract should be close to camera-ready and thoroughly copy-edited. Late-Breaking Work submissions are not anonymous and should therefore include all author names, affiliations and contact information. Examples of Extended Abstracts can be found in the ACM DL. Due to the short selection cycle, there should be very, very few changes between your submission and the camera-ready final document, except in rare circumstances. Furthermore, due to the very rapid selection process we cannot offer any extensions to the deadline. Late-Breaking Work submissions are selected through a Juried process. The process has been designed to acknowledge the early-stage nature of the work. All submissions are considered confidential during the review process. Significance: How important is the problem or question that this submission addresses? How likely is it that the output of this work will contribute to the identified problem or question? How greatly can others benefit from this work? Written Presentation: How clear and understandable is the writing in the extended abstract? To what extent does the abstract conform to all Extended Abstract formatting requirements and the 6-page limit? Ability of the Work to Initiate Discussion: To what degree will the presentation of this work stimulate interesting conversation among researchers or practitioners? To what extent will the presenters benefit from being able to discuss their work and receive feedback at this stage? The extended abstract should contain no sensitive, private, or proprietary information that cannot be disclosed at publication time. Submissions should NOT be anonymous. However, confidentiality of submissions will be maintained during the review process. All rejected submissions will be kept confidential in perpetuity. All submitted materials for accepted submissions will be kept confidential until the start of the conference, with the exception of title and author information which will be published on the website prior to the conference. Late-Breaking Work authors will be notified of acceptance or rejection on 8 February 2018. Authors of accepted submissions will receive instructions of how to prepare and submit the publication-ready version, and details on the poster presentation and scheduling at the conference. Examples of posters can be found in the CHI 2016 Extended Abstracts. Please note that in earlier years, the Late-Breaking Work venue was named Works-in-Progress (WiPs). Examples of previous LBWs with good posters include this one and this one. 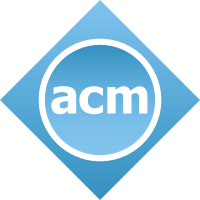 Authors of accepted submissions will also be asked to submit a 30-second video preview summarising the paper; this is optional, but highly encouraged, as it will increase the visibility of your paper before, at the conference, and in the ACM digital library in perpetuity. See here for technical requirements and guidelines for videos at CHI. The deadline for submitting your video preview is 3rd March 2019 (12pm (noon) PDT / 3pm EDT / 8pm GMT). Video previews count towards the total submission size of 100MB, so we recommend that the camera-ready submission does not exceed 80MB. At least one author must attend the conference to present the poster. Authors will be assigned a time and location to present their poster to conference attendees. Note that it is possible that each poster may be presented over two consecutive days, so please keep that in mind while making travel plans. Late-Breaking Work submissions whose authors are not at the conference to present their poster may be withdrawn from the ACM Digital Library. Please see previous year’s CHI programs for examples of typical poster schedules. This page has instructions for presenting your poster. Accepted Late-Breaking Work submissions will be made available in the CHI Extended Abstract proceedings, distributed by the conference and in the ACM Digital Library, where they will remain accessible to researchers and practitioners worldwide.